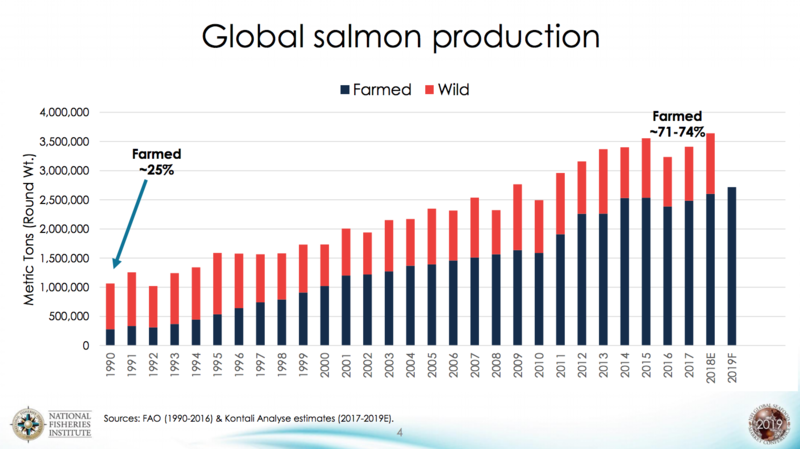 SAN DIEGO, California, US — Global Atlantic salmon production will increase in 2019, but not enough to keep up with demand, according to the salmon panel at the US Global Seafood Market Conference, held from Jan. 15-17 in San Diego, California. 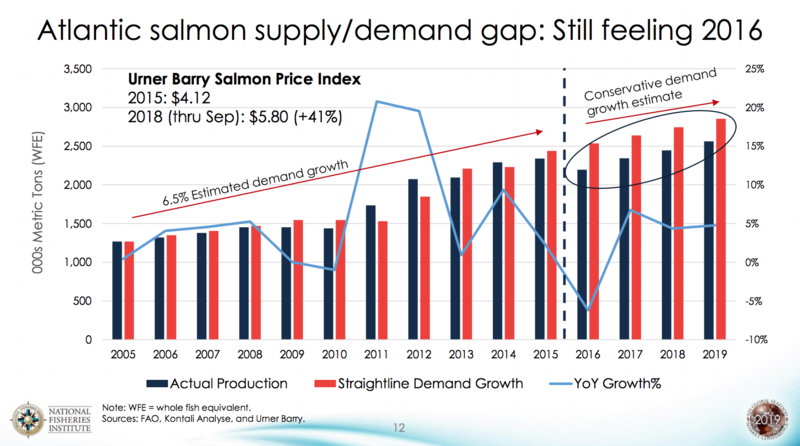 “In the past, producers were able to respond to a lot of demand by increasing the production,” said Andy Wink, executive director of the Bristol Bay Regional Seafood Development Association, and analyst on the salmon panel. However, since production was hit in 2016 by the algae bloom in Chile, the gap has not been closed (see below), he said. “There is a big gap between supply and demand and that is pushing up prices. The gap is probably even larger than shown here. It’s going to take a while to resolve that,” said Wink. 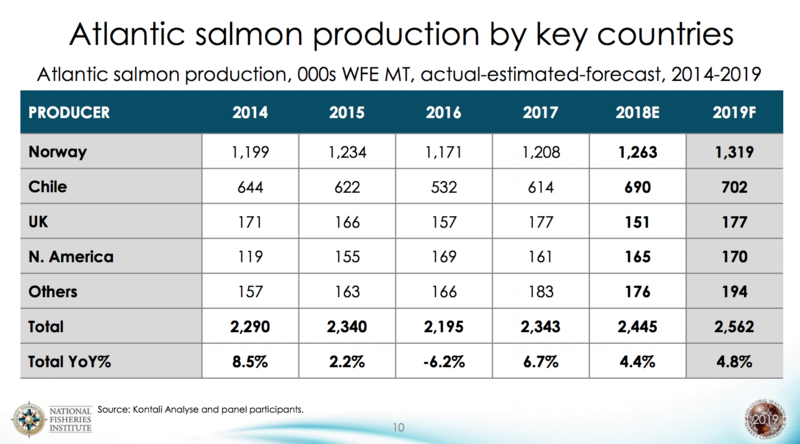 The panel forecast in 2019 is for overall production of 1.32 million metric tons in whole fish equivalent, up 4.8% year-on-year. Norwegian production is constrained by regulation and the maximum allowable biomass (MAB) cap, he said. Then, Chilean production was up 15% in 2018, but regulations limit growth in the short term. Farmed supply has shown more downside risk in recent years due to environmental and biological issues, such as disease and sea lice, said Wink. “So, where is the growth going to come from? Offshore farming, land-based farming, genetic modification and developing remote areas in Chile could eventually add supply,” he said. Read the article.